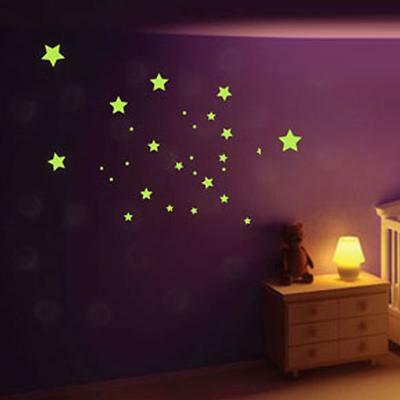 Brighten up your wall with these lovely Glow in the Dark Star Mix Wall Stickers! 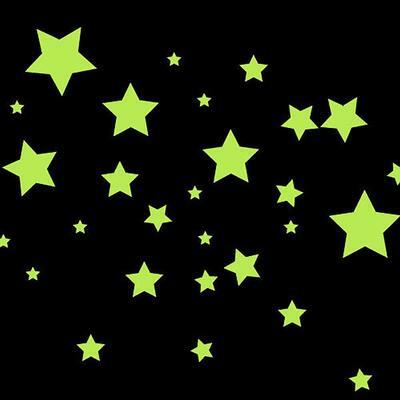 Made from top quality matt vinyl, these stars are great for adding drama and even inspiration inside your bedroom, child's room or playroom. Each set includes 35 stars, all in varying sizes. You can decide how you want to arrange these pieces inside your room. Create constellations or simply arrange them artistically, it's up to you. These stickers are easy to install and also very easy to remove. They won't damage your walls at all or leave marks when you remove them.